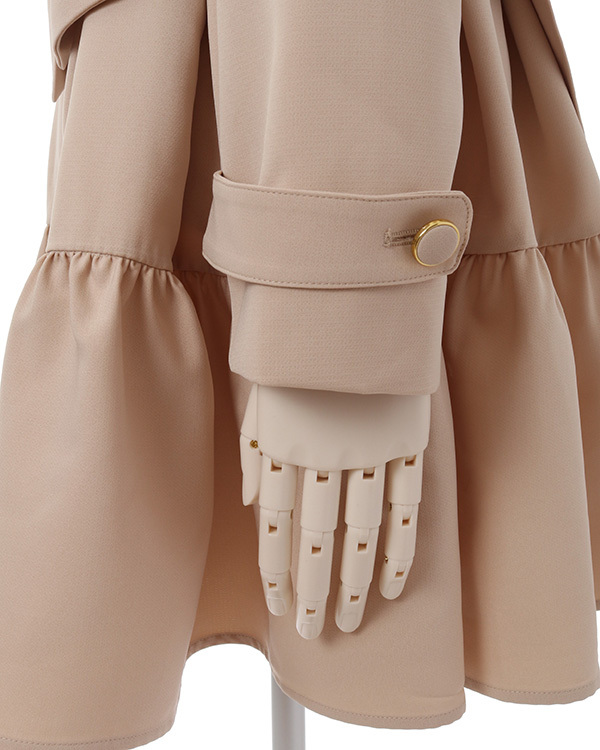 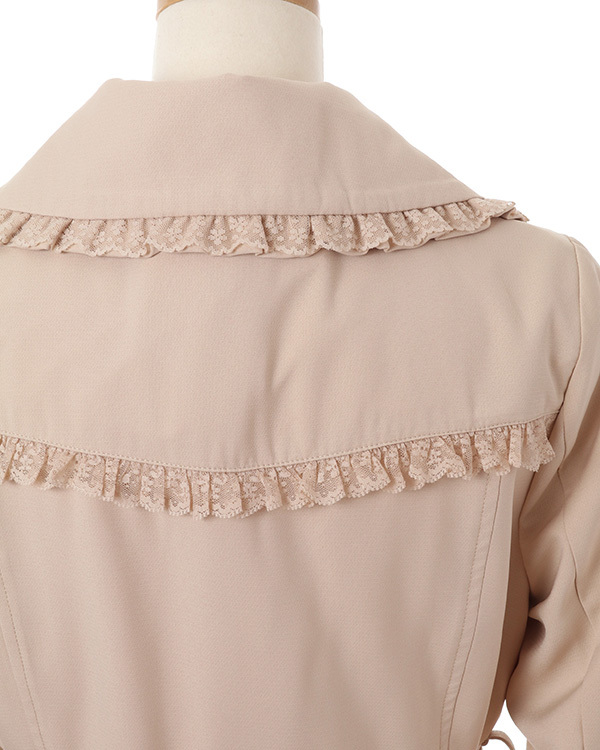 LIZ LISA classic trench coat with additional frill details. 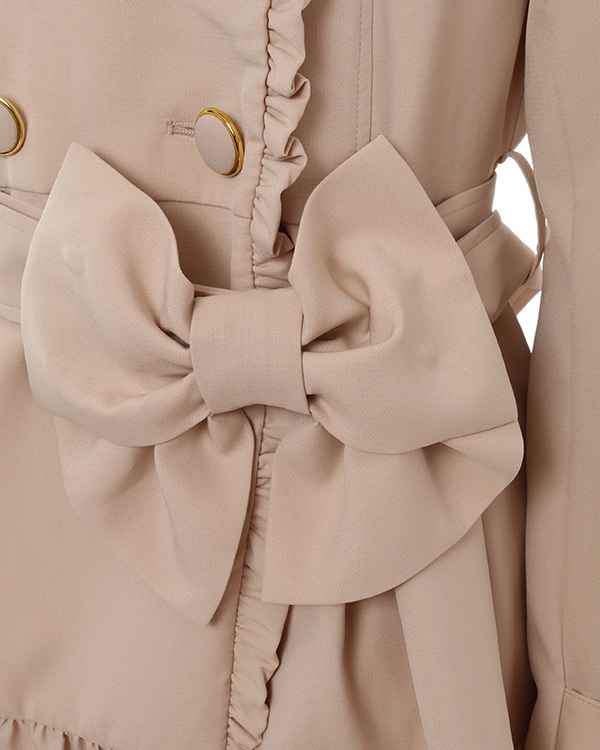 The ribbon waist belt is very cute, the bow can be attached before or after, and it is also removable. 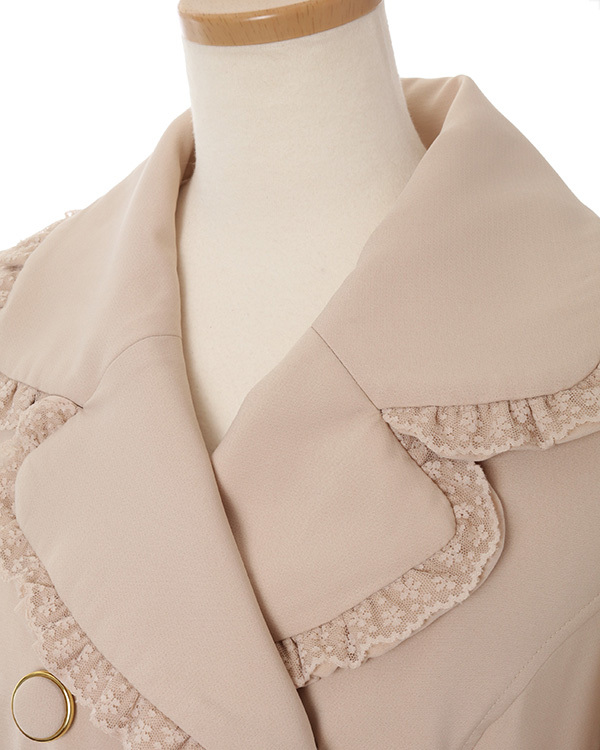 It is recommended to close the front and attach the ribbon to the front. 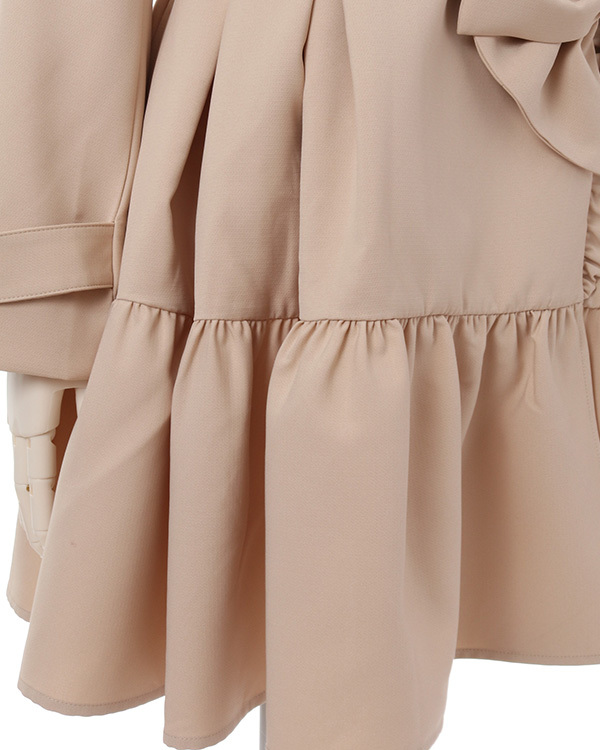 Available in two color ways : pink and beige.